Get a sugar rush at one of the many candy shops around MO. If you have a sweet tooth you do not want to miss out on these amazing stores. From chocolates to gummies to lollipops, these Missouri candy shops have eveyr type of candy you can imagine! A Taste of Tradition - Chocolate Chocolate Chocolate Company! Founded in the year 1981 by the local resident of St. Louis, Dan Abel started making small chunks of premium quality chocolates after years of studying the delicacies of chocolates. If you ever wish to see with your own eyes how chocolates are made, then Chocolate Chocolate Chocolate Company is the best place to visit. 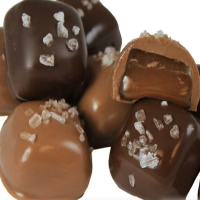 Their collection ranges from artisan chocolates, sea salt caramels, international truffles and a lot more. Talking about buying gifts for your relatives or visit this place for a taste of luscious chocolates, Chocolate Chocolate Chocolate Company will never disappoint you. Awarded as one of the top ten chocolate makers in North America, Rick Jordan Chocolatier has been serving the finest and tastiest of dark chocolates in St. Louis area for a long time. Enjoy their glorious and inventive flavor combinations of chocolates - with the process starting from a small batch of chocolate to roasting and hand grinding cocoa beans. 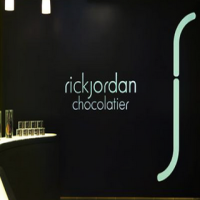 With the delicate touches given by Rick Jordan himself, you will enjoy exciting combinations in his chocolates. To maintain the quality and taste of chocolates, Rick Jordan Chocolatier brings cocoa beans from the Umpala region of Costa Rica. Operating for more than 50 years, Andre's brings the finest Swiss flavored chocolates with a touch of pure butter, natural flavorings, whipped cream and top quality chocolate. Not only are they well known for the quality of chocolates they produce, but their customer service and dedication made them one of the best chocolate makers found in the area. Stop by this candy shop in MO and get the sugar fix you need! 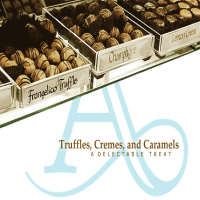 Well known for their collection of 30 truffles, caramels and cremes, Annedore's brings the best to all handmade chocolate lovers. Not only do they offer you all these luscious chocolates from their store but they also take orders and wrap them up with your logo for corporate gifts. With so many candy options available to their customers you can't go wrong when you visit this Missouri candy shop! Ever since 1913, Chocolaterie Stam has been producing exceptional dark and white milk chocolate bonbons for various places in the U.S. and Europe. 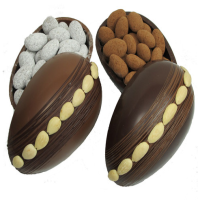 Handcrafted by a Dutch family, Chocolaterie Stam's collection ranges from buttery caramels to truffles filled with fruits, fresh cream and nuts. The next time you are in Missouri make you stop by this candy shop to try some of the best chocolates you will ever taste! Wanna try mouthwatering, delicious and yummy gourmet chocolates? 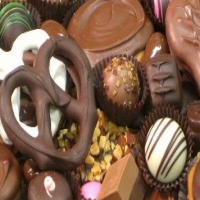 Candy Factory has been making handmade gourmet chocolates for over 30 years. 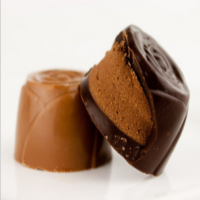 Not only do they sell delicious candy recipes in store but they also offer a wide variety of fabulous chocolates online. Their chocolate collection includes rich Truffles, Chocolate Covered Cookies, Pecan Caramel flavored confections and much more! If you are a chocolate lover or know someone that is a chocolate addict, check out the Candy Factory. It is without a doubt one of the best candy shops in MO! If you have not visited the Christopher Elbow candy shop in Kansas City, MO then you have not tasted the unique spices and flavors of chocolates. 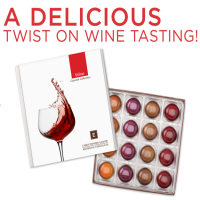 Not only do they offer various kinds of chocolates but they also bring masterpieces in chic design with wine, rosemary caramel and bananas foster flavored chocolates. Many people have commented that if you go here you will finish one box full of chocolates in under one hour! 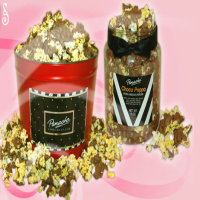 Bet you have not tried Panache Chocolatier's choco-poppos! Whether you are planning for a date night or surprising your love by buying a gift, Panache Chocolatier has all for you. Their collection includes double stuffed oreos, chocolate covered popcorn and gift bags. But their best-selling caramel crunchy popcorn comes in dark chocolate or creamy milk flavor. Not only that, they offer the purest semi-sweet dark chocolate, rich creamy milk chocolate and luscious white chocolate. They are also famous for their special gift wrapping and special treats for your beloved ones. Operating for more than 25 years, Panache Chocolatier is continually voted the number one candy shop in Kansas City, Missouri. Ooh La La Chocolate - The fun comes with the dipping! 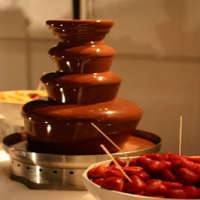 Ever wonder how it feels like dipping your favorite cookies, fruits and treats into a chocolate fountain? You can have this absolutely delicious taste of chocolate at Ooh La La Chocolate. They are experts in serving gourmet Belgium chocolate and world renowned Callebaut chocolate. Not only that, they also offer well-decorated fountains to make your party colorful and entertaining - creating an unforgettable memory in everyone's mind. Some people describe their chocolates as "Simply the best!" This is only because they make pure chocolates with no added oil. Crown Candy Kitchen - Satisfying the sweet tooth! As you enter the oldest and most spectacular chocolate shops in St Louis, you will feel as if you have taken a giant step back in time. 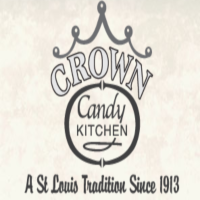 Established in the year 1913 by Harry Karandzieff and his best friend Pete Jugaloff, Crown Candy Kitchen has been following Greek tradition to make delicious chocolate candies. Not only that, they also provide an amiable family environment to enjoy their mouthwatering chocolate collections. Running into their fourth generation of business, Crown Candy Kitchen has become a specialist in making Deluxe Sundae, Butterscotch Malted and Chocolate Phosphate.